The Transatlantic and Transpacific Trade and Investment Partnerships have nothing to do with free trade. «Free trade» is used as a disguise to hide the power these agreements give to corporations to use law suits to overturn sovereign laws of nations that regulate pollution, food safety, GMOs, and minimum wages. The first thing to understand is that these so-called «partnerships» are not laws written by Congress. The US Constitution gives Congress the authority to legislate, but these laws are being written without the participation of Congress. The laws are being written by corporations solely in the interest of their power and profit. The office of US Trade Representative was created in order to permit corporations to write law that serves only their interests. This fraud on the Constitution and the people is covered up by calling trade laws «treaties». Indeed, Congress is not even permitted to know what is in the laws and is limited to the ability to accept or refuse what is handed to Congress for a vote. Normally, Congress accepts, because «so much work has been done» and «free trade will benefit us all». The presstitutes have diverted attention from the content of the laws to «fast track». When Congress votes «fast track,» it means Congress accepts that corporations can write the trade laws without the participation of Congress. Even criticisms of the «partnerships» are a smoke screen. Countries accused of slave labor could be excluded but won’t be. Super patriots complain that US sovereignty is violated by «foreign interests,» but US sovereignty is violated by US corporations. Others claim yet more US jobs will be offshored. In actual fact, the «partnerships» are unnecessary to advance the loss of American jobs as there is nothing that inhibits jobs offshoring now. What the «partnerships» do is to make private corporations immune to the laws of sovereign countries on the grounds that laws of countries adversely impact corporate profits and constitute «restraint of trade». For example, under the Transatlantic Partnership, French laws against GMOs would be overturned as «restraints on trade» by law suits filed by Monsanto. Cigarette companies can sue for warning labels on cigarette packs, because these labels discourage smoking and thereby constitute «restraint of trade». Efforts to control environmentally damaging emissions would also be subject to damage suits brought by corporations. Under TTIP, corporations would be compensated for «regulatory takings», the corporate designation of environmental protection. Of course, this means taxpayers would have to pay damages to the polluting corporations. Under TTIP only corporations can sue. Unions cannot sue when their members are harmed by jobs offshoring, and citizens cannot sue when their health and water supplies are damaged by corporate emissions. Obama himself has no input into the process. Here is what is going on: The Trade Representative is a corporate stooge. He serves the private corporations and will go on to a million dollar annual salary. The corporations have bribed the political leaders in every country to sign away their sovereignty and the general welfare of their people to private corporations. 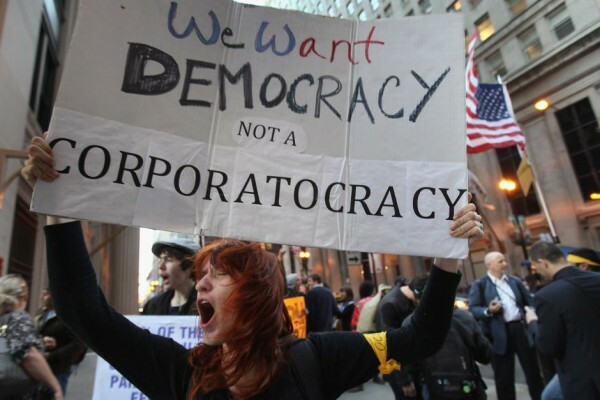 Corporations have paid US senators large sums for transferring Congress’ law-making powers to corporations. When these «partnerships» pass, no country that signed will have any legislative authority to legislate or enforce any law that any corporation regards as inimical to its bottom line. Yes, the great promiser of change is bringing change. He is turning Asia, Europe, and the US over to rule by the corporations. America’s First Black President is proving himself to be the Uncle Tom of the corporations. Any and everything for the plantation owners and nothing for the slaves. Marine Le Pen objects to the secrecy of the agreements that establishes corporate rule. «It is vital that the French people know about TTIP’s content and its motivations in order to be able to fight it. Because our fellow countrymen must have the choice of their future, because they should impose a model for society that suits them, and not one forced by multinational companies eager for profits, Brussels technocrats bought by the lobbies, and politicians from the UMP [party of former president Nicolas Sarkozy] who are subservient to these technocrats». How does it work, this «freedom and democracy» that we Americans allegedly have, when neither the people nor their elected representatives are permitted to participate in the making of laws that enable private corporations to negate the law-making functions of governments and place corporate profit above the general welfare?